All of our Seedforfood products are natural and ecofriendly, made from the husks of coconuts. This is a natural, quickly renewable material and thus CO2-friendly as well. What’s more, it is a by-product of the coconut fibre industry, and the fact that these products are so compact contributes to their low carbon footprint. A mature coconut palm (Cocos nucifera) produces an average of 120 fruits a year and can live for over 60 years. A coconut has two parts: the fruit (which is not technically a ‘nut’) and the husk. It is the meat of the coconut that is mainly used for industrial purposes around the world, such as making consumer goods like copra, coconut oil and coconut milk. This leaves a number of by-products. The meat that has been pressed (copra cake) is used in the feed industry. The hard shell of the kernel is processed into charcoal. The husk is used in the fibre industry. What remains after processing is the coco peat. This is what Seedforfood uses in its products. In other words, the entire coconut gets used and nothing is thrown away. 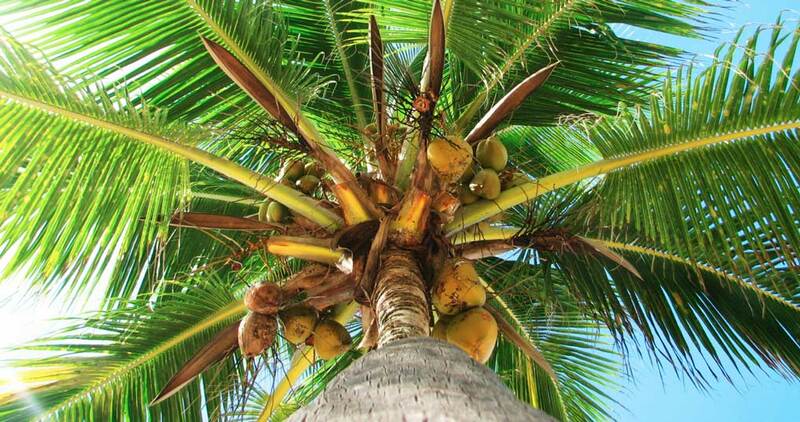 The coconut palms from which the fruit is harvested for production are grown in large plantations. One acre in such a plantation generally contains some 75 mature trees. With so many trees grouped so closely together, these plantations absorb CO2 from the air. Moreover, 5 years before any palm tree is uprooted, a new one is planted so that it will be in full production by the time the old tree is removed. Through this system of planting new trees when the older palms are no longer productive, any surplus CO2 is immediately absorbed by the younger coconut palms, so that CO2 capture levels remain stable. This is a side benefit, of course, the main one being that the planting of new palms prevents any interruption to the coconut production. The carbon footprint of coco peat is very low. The reason for this is that its production is a by-product of the coconut industry and any CO2 released during the process is not attributed to the final product. Its production contributes only minimally to the allocation anyway. Only the somewhat significant CO2 emissions associated with transporting it across the ocean are attributed to coconut. We do our best to limit these by transporting all of our coconut products in a dry, ultra-compressed form. Coconut palms (Cocos nucifera) are monocotyledons. One noteworthy characteristic of these trees is that they need relatively few nutrients (i.e. fertilizer) to produce good yields. Coconut is a completely renewable resource. A mature coconut palm produces an average of 120 fruits a year and can live for over 60 years. During its productive years, the tree will continually produce fruit, yielding a constant supply of new resources that can be used for production. Coconuts are a recyclable, organic resource. 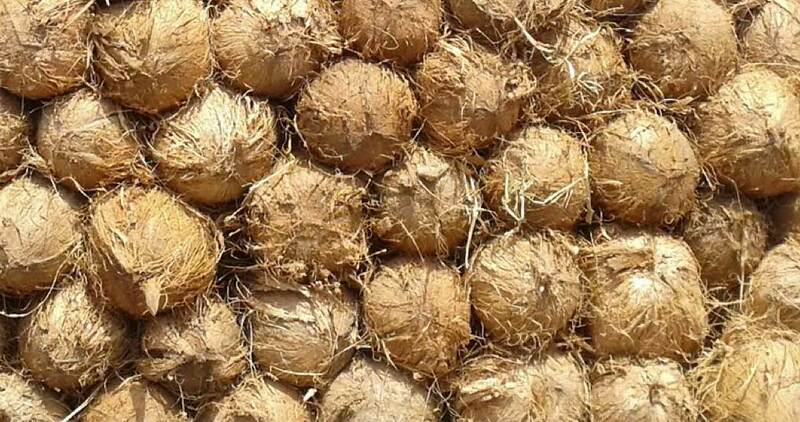 The used coco material can be re-processed as a raw material for soil amendment, in potting soil or as compost. The recycled material improves the physical properties of less-fertile soils, such as by enhancing their structure and aeration, therefor boosting production.